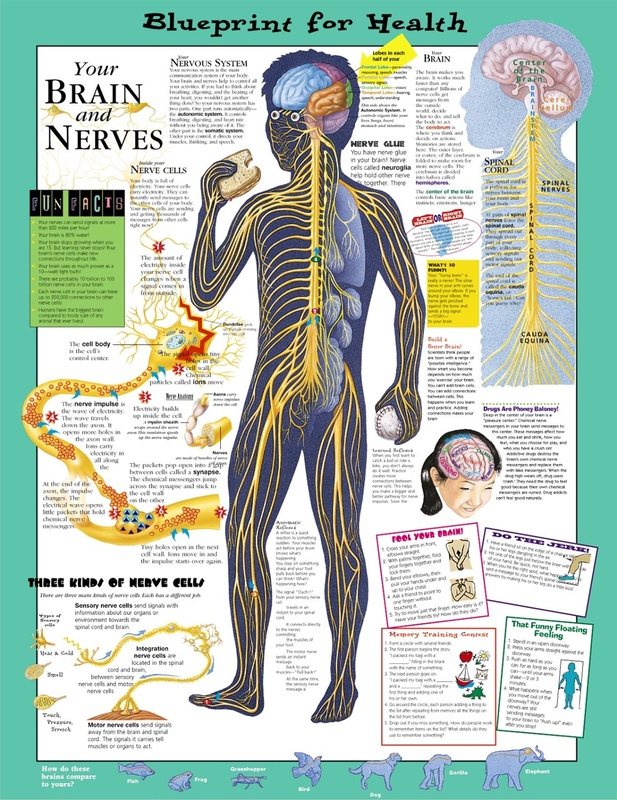 Describes and illustrates the nervous system, nerve cells, brain and spinal cord, making the information fun and easy to understand. Talks about automatic and learned reflexes, right brain vs. left brain, the funny bone, how to build a better brain, what happens when your foot falls asleep, and how drugs interact with the brain. 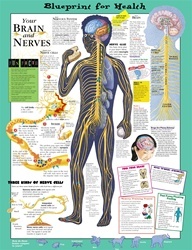 Includes fun facts (“Your nerves can send signals at more than 200 miles per hour!”) and fun things to try in the classroom or at home to show how the brain and nerves work. * Size: 20" x 26"
clear and useful for psatient education!